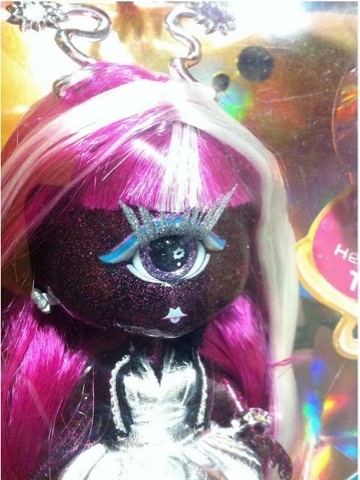 For some time now boards and groups have been wanting Monster High to release a Cyclopes doll, it looks like MGA beat them to it. Novi Stars is set to release Sila Clopes, a Cyclopes girl with an eye that lights up. I'm looking forward to seeing this doll in person and I'm wondering how long it will be before we get a Create A Monster set with a Cyclopes.